A former Southwest Airlines employee claims that other employees created a "whites-only" break room at a Houston airport and that the company knew about it, according to a discrimination lawsuit filed Wednesday in federal court. The alleged segregated room, called the "WB," had been around for years and its existence at the William P. Hobby Airport was common knowledge, according to the lawsuit filed by Jamel Parker. 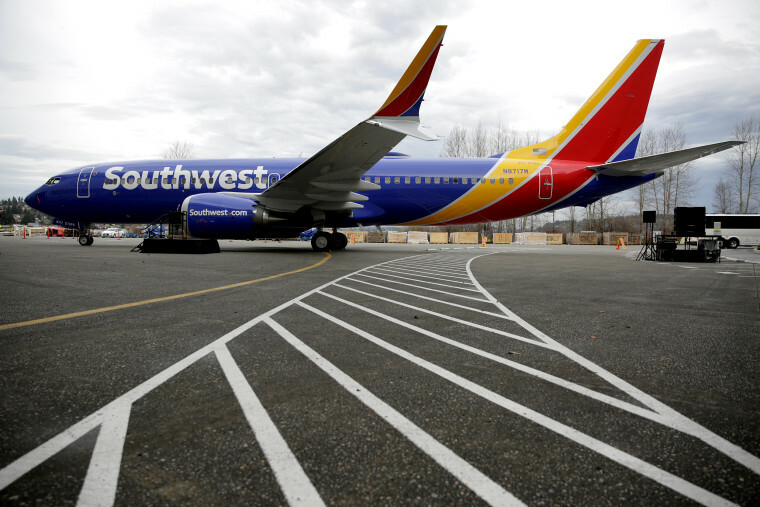 "Although this level of blatant racism sounds almost unbelievable, this whites-only area for white Southwest employees existed for years until a recent renovation removed the room," the complaint said. Parker was fired by Southwest in April 2017. According to the lawsuit, he was canned after driving a "pushback," a vehicle used to move aircraft away from a gate, when the tow bar got caught on a power cable. Parker said he believed he didn’t cause any damage but was fired on the grounds of damaging the power cord and not reporting it, according to the suit. He had worked for AirTran as a ramp agent since 2008 before the company merged with Southwest in 2013. Parker claims the airline did not fire at least two white employees who made similar mistakes. One white employee allegedly hit a belt loader with a baggage cart and did not report the incident, only admitting to the accident after camera footage was reviewed, but was only given a low level of discipline, according to the lawsuit. Another employee was allegedly given a final warning letter after hitting a vehicle that pulls baggage carts with the vehicle he was driving, the suit claims. The lawsuit also describes an alleged incident where black employees found a noose made of bungee cords at a Southwest airport gate. Parker is seeking a trial by jury and monetary damages. Southwest Airlines said in a statement that they wouldn't be able to comment on matter related to pending litigation, but. "we welcome the opportunity to emphasize that Southwest is and always has been a company that puts its people first." "We work relentlessly to foster an environment that is diverse and inclusive," the airline added. "We do not tolerate or condone discrimination of any kind, and we cultivate a workplace that mirrors the Customers we serve." "Southwest Airlines is an Equal Opportunity Employer and prides itself on an open and inclusive work environment that consistently ranks among the world’s best places to work," the statement said.